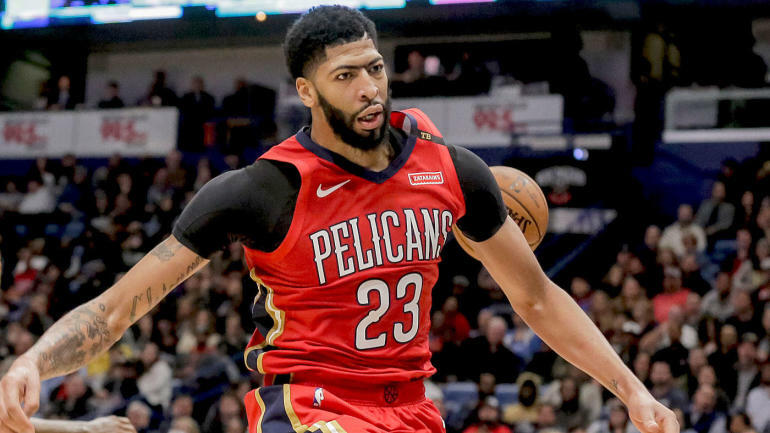 According to multiple reports, New Orleans Pelicans superstar Anthony Davis has formally requested a trade , and all hell is officially breaking loose. Despite his relative struggles (compared to lofty expectations), Ingram still has a higher upside than Kuzma, so the Pelicans would have to consider him as the centerpiece of the deal. As Chris Haynes of Yahoo Sports reports, the Knicks are expected to make a push for Davis , partially because they feel his presence will help lure players like Kevin Durant , Kyrie Irving and/or Kemba Walker as free agents. In return the Pelicans would get a ready-made borderline All-Star who could create an incredibly dynamic backcourt alongside Jrue Holiday , an expiring contract in Aminu and a first-round pick in this year's draft. Maybe Houston general manager Daryl Morey, who is steadfast in his obsession with beating the Warriors , ends up presenting the best assets in emerging big man Capela, proven wing scorer Gordon and what will likely be a late first-round pick. He's already shown great improvements as a playmaker, so giving him the keys to the offense to throw lobs to Capela and kick out to Gordon for 3-pointers may unlock even another level of Holiday's game.